Arlian had never left his home village in the Obsidian Mountains. The green hills, white peaks, and black glass were all he had ever known of life, and though he dreamed of travel and adventure, he knew deep in his heart that he would probably never leave. Until the dragon weather came. Incredible heat, oppressive humidity, dark and angry clouds . . . and dragons. Dragons with no feelings, no empathy, no use for humans; dragons who destroyed his entire village and everyone in it. Everyone, that is, except Arlian. Orphaned and alone, Arlian the child is captured by looters and sold as a mining slave. Seven years later Arlian the man escapes, fueled by years of hatred for the dragons, bandits, and slavers that took his youth away--and a personal vow to exact retribution from those who have wronged him. As Arlian makes his way through life, he is obsessed with the concept of justice, and that obsession informs every task, every decision. Even Black, the man he befriends and grows to love as a brother, has little influence against Arlian's obsession. His entire life has one purpose, and one purpose only: to mete out justice. But can one righteous man change the entire world for the better? Or is he doomed by his own actions to become as unjust as those he seeks to destroy? 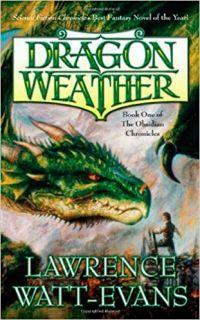 Arlian, a boy who has his village destroyed by dragons yet he survives when no one else does. He gets enslaved but still dreams of a day when he can get vengeance on his enslavers and the dragons that destroyed his village. This was a very enjoyable "Cinderellla" story of a boy going from rags to riches. I enjoyed reading as he took risks yet some avoided the expected disastrous results. Does he have some kind of power or reason for thinks always working out his way? You will need to read it yourself to find out what he does and how he overcomes forces much more powerful than himself. I give this book five out of five stars as a fun and enjoyable summer read. I read it during my vacation and believe that fantasy genre fans would very much enjoy it themselves.